Animated Words is a featured column at the Rotoscopers, an awesome news site for all things animation. Welcome to the first edition of my article series entitled “Animated Words,” which will be an exclusive look at books that inspired the creation of animated movies. I’m sure you have heard someone spout the phrase “the book was better than the movie” before and I have been known to say it on more than one occasion. Growing up, I was the child who always read the original novel before watching the movie. I read the book first because it was usually how I got to connect with the movie before it was even out in theaters. As part of the merchandising campaign with a new movie, Disney released toys, clothing, and books smeared with the characters. Books have and will probably always be an easy tie-in for feature films, because they are easy to make, quick to produce multiples, and have that educational factor with reading. 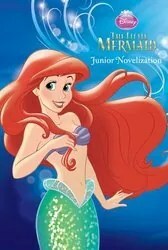 While my parents weren’t too keen on taking me to the movies, they were big fans of the library and one day I found The Little Mermaid junior novelization. The junior novelization not only told the entire story, but it even included a few extra details hinted at but not included in the movie. From that point on, I scouted out Disney books that were “based on the motion picture” and they tided me over until I saw the actual movie. The junior novelizations were actually published before the movie even played in theaters, so I soon became the one who knew all the spoilers (take note that in the 1990s, however, the word “spoilers” didn’t exist). I would also discover that Disney and other animated films were based on original novels, not just fairytales. I swallowed these novels in one large gulp and was extremely thrilled when there turned out to be a series with even more adventures starring the characters. This brings me around to why I want to write “Animated Words”: I love to read books, I love writing about books, and I also want people to be more aware about movies that are based off original novels. Why? Because I want them to read more. Without further ado, let’s dive into a one of today’s popular movie franchises: How to Train Your Dragon. 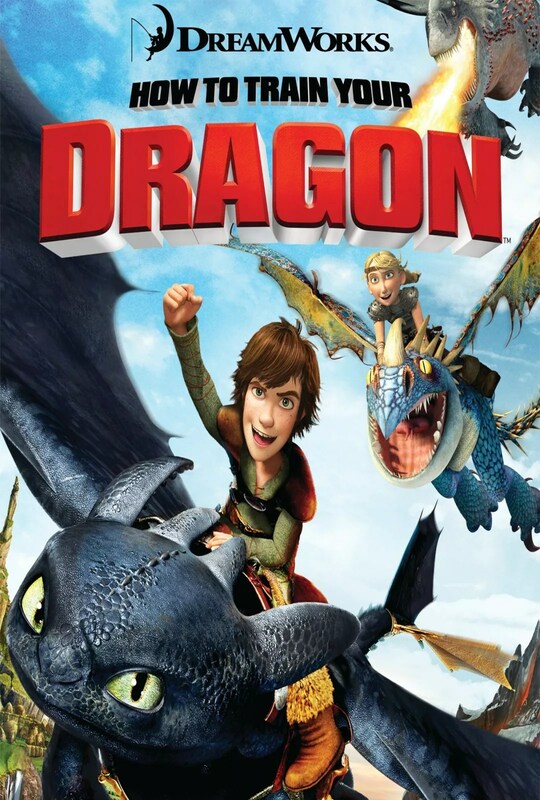 How to Train Your Dragon is by British children’s author Cressida Cowell. Britain has a penchant for exporting some of the best children’s fantasy literature. I’ve never understood why the island nation is a hotbed for imaginative stories aimed at younger audiences, but it will probably continue (I hope) for years to come. How to Train Your Dragon is the first book in, as of writing this article, an eleven novel series and there doesn’t appear to be an end in sight. First published in 2003, How to Train Your Dragon combines two popular genres: fantasy and pretend journals of fictional characters. One could argue it falls into the hybrid graphic novel category (a hybrid is a book that is part comic book or has a major visual aspect/part prose novel. like The Diary of Wimpy Kid and Hugo Cabret), but the drawings only augment he text rather than having the story rely heavily on them. Another popular literary ploy that How to Train Your Dragon uses is to treat the story as if it were real and the author just so happens to be the lucky channel with which it is shared. This is a very popular and old literary ploy. Some notable examples include L. Frank Baum, who is dubbed the Royal Historian of Oz, and his many Oz books and Lemony Snicket’s A Series of Unfortunate Events. The device is primarily used in children’s literature, because it fosters a child’s sense of belief and kids are more likely to read a book if they think it’s real. (Admit it, as an adult you think it’s more fun too.) DreamWorks borrowed from the book’s journal narrative by using the main character’s voice-over narration in the 2010 film’s beginning and end (not to mention that is a common trope for many animated movies these days). I digress. Movies have the tendency to stray from the source material. For many fans of the written word, this is an abomination and in some cases it is. Hollywood, like the publishing industry, is out to make money and so they alter a book’s plot to appeal to a wider audience. When authors sell the movie rights to their books, they often relinquish any form of creative control. Some authors are unhappy with the final product and others don’t really care because they got a paycheck. New York Best Selling Author Meg Cabot once told me (at an author signing) that the best way to work with Hollywood was to drop your book over the California border, take the check, and let it go. It isn’t necessarily a bad thing for the Hollywood machine to re-imagine a book. If Peter Jackson kept every single detail from J.R.R. Tolkien’s Lord of the Rings cycle, the trilogy would have moved slower than production on Richard Williams’ The Thief and the Cobbler (or Arabian Knight or The Princess and the Cobbler, take your pick) and it would have been extremely boring (or more boring if you fall into the minority that fell asleep during viewing). Sometimes removal of some details, adding new characters, or rewriting events strengthens the original story or takes it in an entirely new direction, which is what happened with Cowell’s How to Train Your Dragon. I imagine the book and the movie were walking along a straight road together, when they came to a fork in the road and then went their separate directions and created two separate canons or universes. In superhero comics, namely DC and Marvel titles, it’s common for there to be parallel universes in which familiar characters live alternate storylines. It keeps the stories fresh and answers the inevitable “what if” questions that are sprinkled in series. The movie uses the same character names, takes place on the isle of Berk, and there are dragons and Vikings in it. That is pretty much where the similarities end. 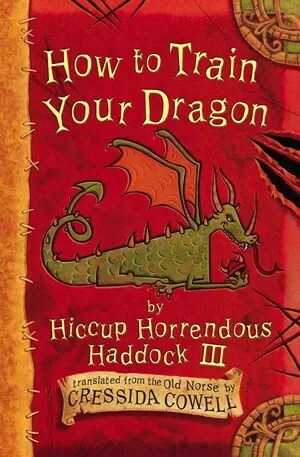 The How to Train Your Dragon book features young Viking Hiccup Horrendous Haddock III, who goes by Hiccup, and is the heir Stoick the Vast, chief of the Hairy Hooligans. Hiccup has the unfortunate distinction of being small, thin, tends to look before he leaps, and has a higher intellect than his fellow Vikings. While his friends and family smash items and don’t bother to ask any questions, Hiccup ponders all the questions and investigates the answers. It’s not the type of personality one expects of a future Viking chief and the Hairy Hooligans are unsure of what to do with Hiccup. Hiccup has a best friend named Fishlegs, who has several maladies including asthma and eye problems (not to mention he’s kind of a wimp). Fishlegs shares the wimp characteristic, but his movie counterpart is much, much bigger. Snotlout isn’t that different from his movie counterpart, still a bull-headed, brash bully, except he is Hiccup’s cousin. That last bit adds some interesting familiar tension in the series. Ruffnut, Tuffnut, and Astrid don’t make any appearances, although in the third novel a girl named Camicazi from an Amazon-like tribe shares similar characteristics – she’s sword-fighting, tough, and had a dragon named Stormfly – with Astrid. The Hairy Hooligans live on the isle of Berk and all young Vikings must go through a right of passage to become an adult. Led by Gobber the Belch, all young Viking initiates must prove their bravery by catching a dragon and training it…wait, what? Yes, you read correctly. The Vikings don’t hate dragons, instead they capture and raise them as their companions. It’s quite the big difference, isn’t it? In the book Hiccup and his friends like dragons and it’s expected that they capture one to prove their worthiness as a Viking warrior. But, in the movie, they make the extreme change to hating and murdering dragons at every chance they get. It’s an all out war in the movie! Viking against dragon, with the “none shall rest while the other exists” kind of mythos. It gets even better! 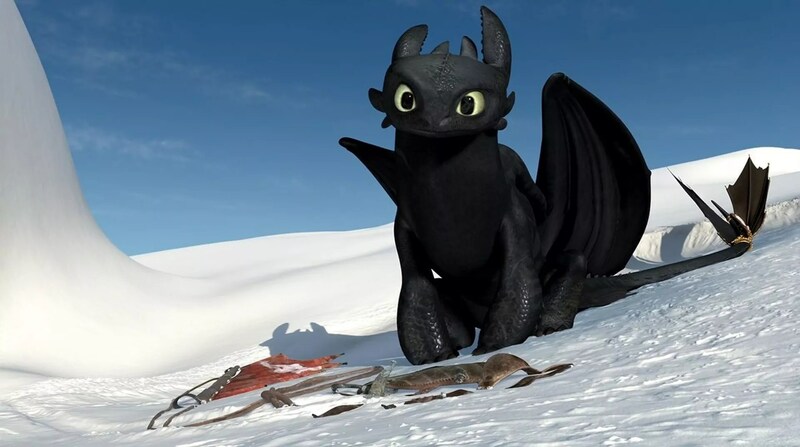 Toothless does exist in the books, but instead of being an awesome, powerful, and cute Night Fury he’s a small dragon that the book identifies as either a common or a garden dragon. There really isn’t anything spectacular or even cute about Toothless, except he can talk…scratch that, he complains a lot. Actually, all the dragons can talk and Hiccup can speak Dragonese, which proves to be a very valuable gift. Already one can see how the movie branches away from Cowell’s work and follows a traditional coming-of-age story with a misfit hero. While the book has its coming-of-age moments, it happens as the series progresses (like an adventure serial and rather than having Hiccup fight against the world around him, like movie Hiccup). Book Hiccup goes with the flow, assesses a situation, and then reacts. Hiccup’s gentle spirit is adapted from the book. During the initiation dragon hunt, all young Vikings must return with a dragon or be exiled from the tribe. Fishlegs fails to retrieve a dragon, so Hiccup gives him the one he captured and risks expulsion. He’s also frustrated about the extreme lack of knowledge about dragons. There is a training manual entitled How to Train Your Dragon within the book of the same name, but it consists of only one chapter with one page and shares the Viking wisdom: “the golden rule of dragon-training is to yell at it! The louder the better.” Hiccup’s curiosity about dragons is a major personality aspect that is expressed well in both the books and the movie. In the movie, audiences are treated to a montage of him learning dragon lore with a the wounded Night Fury, Toothless. Book Hiccup, instead, takes his dragon education a bit slower and is fo rced to placate Toothless during the process. This brings us to another major aspect: how the dragons act. Dragons are mythical beasts and fantasy authors handle them according to their own fancies. DreamWorks decided to make the movie dragons intelligent, non-talking creatures that can be trained and become loyal human companions. Cowell’s dragons aren’t so nice. Toothless, in the book, goes even so far as to say that dragons are self-serving creatures and only listen to humans because they have food and are bigger. Book Toothless is noted as being extremely adorable, but lacking any morals whatsoever. As the series progresses, Cowell changes the way humans and dragons interact, although they remain wild, scrappy creatures. Changing the way humans and dragons interact is a vital part of both movie and book, because it sets the stage for later conflict. If you’re interested in becoming a writer, especially of children’s books, change is very important for your fictional world and characters. With more mature fiction it can be subtler and weighed down with fancy metaphors, but children’s literature needs to have more apparent character/environment growth. Younger readers need their change to be less complicated, but not pandering. One folly that many novice writers make is that they create a world or situation that is too “easy” for their characters or where things happen “at” their characters (meaning they’re very passive). Book characters do stuff! The huge conflict in both the movie and book is the arrival/discovery of a giant dragon that devours everything. In the book it’s called the Green Death; he talks and enjoys intellectual conversation, while the movie has the Red Death dragon and it just eats and destroys. Action-adventure movies wouldn’t be dubbed a thrilling drama if there wasn’t a climatic battle with near death, destruction, and a huge battle. It happens in the movie and is handled very well given that it’s a movie formula used way too often. Cowell relies on a more cunning, sheer dumb luck route to defeat the Green Death. Another dragon named the Purple Death arrives at Berk to eat the Vikings, but Hiccup forms a plan to pit the two dragons against each other. It works and all seems well, until Hiccup is eaten. The sheer, dumb luck sets in when – by accident – Hiccup figures out how to stop the Green Death’s fire. As in the movie (or vice versa since the book came first), Toothless saves Hiccup, the Vikings accept Hiccup’s strangeness, and everyone lives happily until the next book or movie sequel. 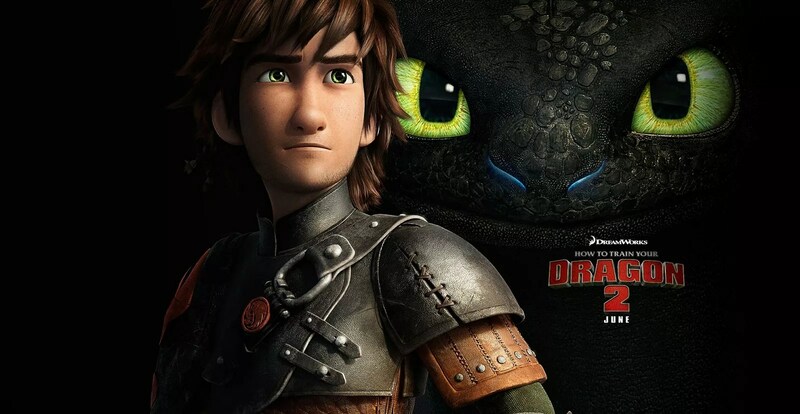 How to Train Your Dragon 2 borrows some elements from the novels, but it veers off into a whole new direction. Hiccup is decidedly much older, the plot is much darker, his mom comes back, etc. It was made to continue the movie’s canon, rather than adapt preexisting work. The novels, however, retain their more humorous, episodic storytelling as each novel adds a new piece to the great puzzle Cowell writes. The characters do mature throughout the series, but they are still written for a young target audience (rather than the writing maturing as well). Despite the differences between the book and movie, both How to Train Your Dragon incarnates remain separate, distinct works that are appealing for their own reasons. The books are a fun series with a none-too-serious approach to adventure stories, while DreamWorks is working on turning How to Train Your Dragon into an epic franchise. Cowell mentioned she is pleased with the film adaptations and who wouldn’t be? DreamWorks took a comedic, adventure story for young readers and is transforming it into an awesome animated franchise. The studio puts effort into creating a good story, rather than pasting stereotypical plot elements together. Neither is better than the other, although I am partial to DreamWorks’s version of Toothless. I REALLY want a Night Fury to fly me places, torch my taxes, and be my best friend.